SNAFU! : UAVs as the next Close Air Support platform???? UAVs as the next Close Air Support platform???? Over two days of briefings here by everyone from pilots to maintainers to the commander of the 432nd Wing, one message rang out loud and clear: the Reaper has grown into a key Close Air Support (CAS) tool for the US military and should not be viewed primarily as an Intelligence, Surveillance, & Reconnaissance (ISR) asset. How well has the MQ-9 performed as a CAS weapon since first being widely used in that way in Sirte, Libya from last August to December? “In an urban CAS environment, we absolutely give the A-10 a run for its money for who is the better urban CAS platform. I realize that is a bold statement, but Colin, our men and women and their equipment are a formidable combination,” 432nd Wing Commander Col. Case Cunningham tells me in his fairly spartan office on this isolated base. A-10 supporters, whose fervor can sometimes seem religious, need not worry that the MQ-9 is going to supplant the A-10 in other situations — yet. 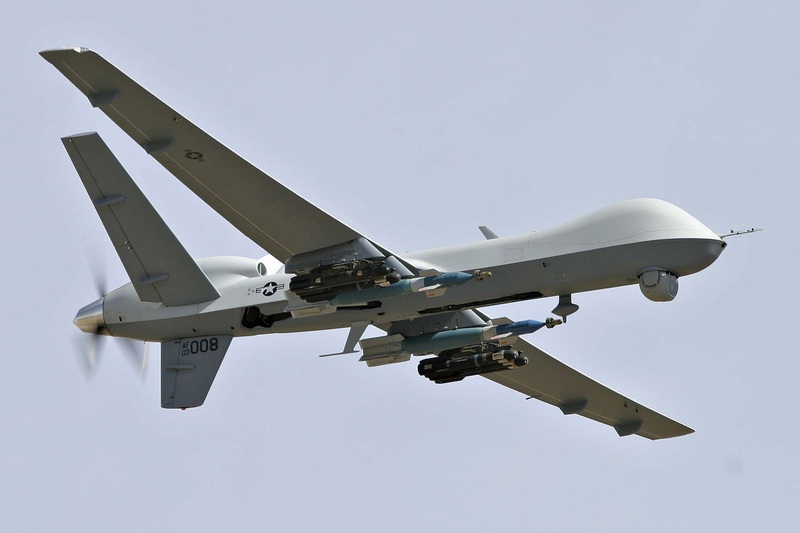 “In other CAS environments though, the MQ-9 isn’t where the A-10 is at. The A-10 has more weapons and the 30mm gun can do things we can’t do,” concedes Cunningham, a former F-16 pilot himself. “We dropped 100s of Hellfires and handed that city back to the Libyans intact because we were using highly accurate weapons,” Cunningham said. Most important, not a single civilian casualty caused by a Reaper strike was reported during the Sirte operations. So they're trying to sell the idea that UAVs can provide CAS better than an A-10 in an urban environment? You do get the force of connection there don't you? For some unknown reason the Pentagon is stuck like stupid on the idea of fighting in a Mega-City. There is one way that I see UAVs being a force multiplier. If we're actually going to do Expeditionary Squads and Company Landing Teams, then if you can have a full armed UAV on call and able to respond to their request for fire in minutes .... I mean actually flying racetracks in the sky a few miles away...then it might work. It would mean many more of them but that's the only way I can see the Colonel's statement being true.